Before going to Northern Vietnam, my friends told me I must visit Sapa, a city located in the mountains close to the China border and known for its paddy fields as well as its indigenous population. Thus, a Sapa tour was my first request at the travel agency (Ethnic Travel) , but they said, although it is worth travelling to, there is no rice field anymore (it has been harvest.) 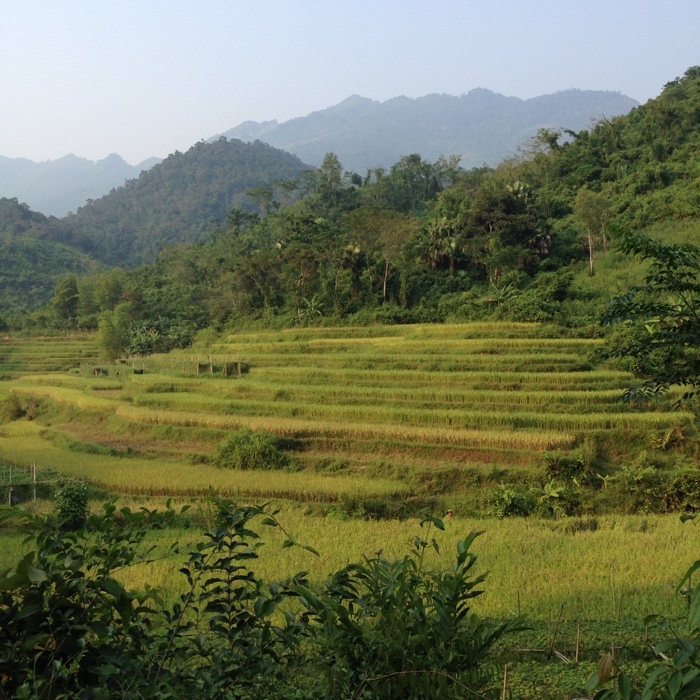 Instead, they suggested the city of Mai Chau for similar scenery and fewer tourists. I was down. Let’s go to Mai Chau! Sunday morning 8am the bus picked me up at the hotel, and after few stops at other hotels, we were on the road to Mai Chau for almost 3 hours. Since it is a high-speed road the ride is pretty chill, nothing especial to see on the road. I was asleep for the most part.